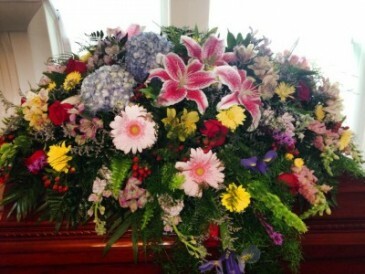 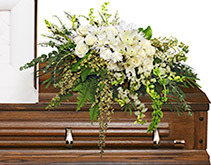 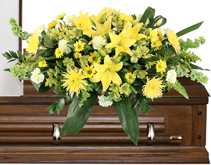 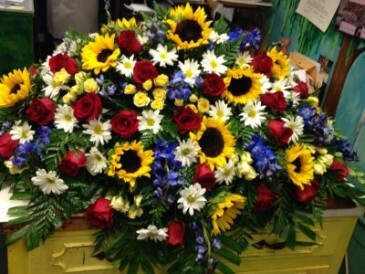 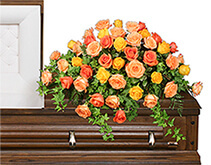 Arrangement to go on the casket which includes a colorful mix of sunflowers, blue delphinium, yellow spray roses, red roses, and white daises. 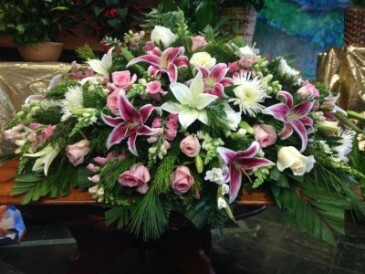 Arrangement to go on the casket which includes pink and white roses, pink and white lilies, white spider mums, and white and pink snapdragons. 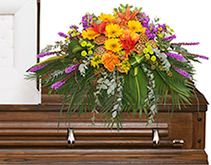 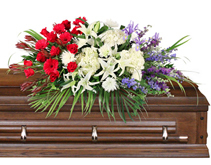 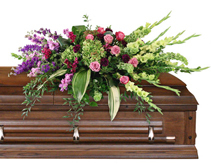 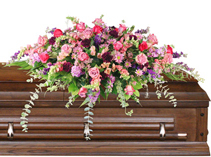 Colorful mixed casket spray including blue hydrangeas, red roses, stargazers, pink gerbera daisies and other assorted flowers. 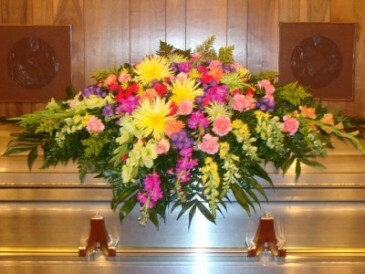 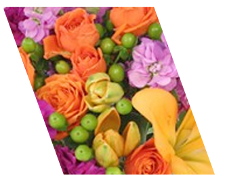 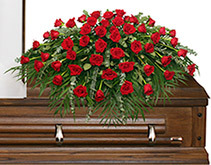 Arrangement to go on the casket that includes a colorful mix of fresh cut flowers. 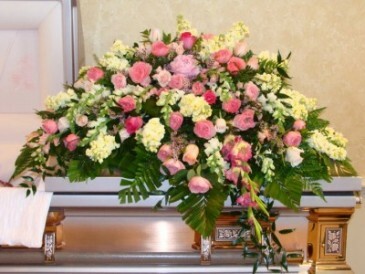 This casket spray is a beautiful mix of light pink roses, pink ranunculus, white and pink snapdragons, cream stock, pink gladiolas, and pink wax-flower.